In many ways, it was like any other day in my life as a physician. I practice Internal Medicine and Sleep Medicine in central Louisiana and my days are divided between my patients both in the hospital and at my office. Many doctors these days are deciding to only work in the office setting or in the hospital to improve their lifestyle, but I just can’t seem to do that to my patients. So, I finished my patients for the afternoon at the office and drove to the ER to see a patient. The emergency room physician had called me a few hours earlier telling me that one of my patients had arrived there in some distress, and was apparently having a heart attack. His fourth heart attack to be precise! I walked in to the ER and asked the charge nurse where he was, and to my dismay, she told me he had been taken to the Cardiac Cath lab emergently, but word was he had not survived. It was disheartening to say the least. I walked to the cath lab waiting room hoping to see his wife, and she was still there with several other family members. She told me he had been fine that morning, and had just started having severe chest pains out of the blue no more than half an hour before they got to the ER. These people knew the signs of a heart attack, after all, he was a veteran by now! We discussed a bit what a nice gentleman he was, and I expressed my condolences the best I could under the circumstances. I bid her goodnight, and headed home to cook some dinner for my family. Although death is a regular part of my job, this just seemed a little different. As I drove home I could not get one thing out of my mind. This gentleman had been to my office to see me just the week before, and I was very encouraging to him about how things were going. He was in his early 60’s, and suffered from high blood pressure, diabetes, high cholesterol, and obstructive sleep apnea. The thing is, they were all VERY WELL CONTROLLED! His blood pressure was perfect, his diabetes numbers mirrored that of a non-diabetic patient, and his cholesterol was well below the goals set by multiple cardiovascular studies. In addition, his cardiologist had convinced him that his meat based diet was the culprit of his seemingly uncontrollable heart disease, and he had adapted a strict vegan diet for well over a year. In many parts of the country that’s not too hard to believe, but to a Cajun from the land of boudin and pork cracklins, this was quite the feat! So, I asked myself…how could this skinny, well controlled hypertensive, diabetic, vegan Cajun gentleman in his early 60’s have just died from his fourth heart attack? Something was wrong! I have to admit I felt a good deal of shame, particularly in front of his wife. Here I was, the doctor who had just told them things were “perfect,” giving my condolences for her loss. How could I have been right? Yet, by the books, I was right. He was on all the right medicines, his numbers were picture perfect right down the line, and he was even avoiding all the evils such as red meat, bacon, eggs, etc. I mean come on, he ate oatmeal by the gallon! (Ok, not really, but you get my point). My name is Ernie Garcia and I spent many years studying to be a doctor, and very little of it was spent learning about nutrition. That is unfortunate as the more I practice medicine, the more I realize that people’s weight (and more specifically their diet) is almost always their biggest problem. Sure, I mainly spend my time treating people for high blood pressure, high cholesterol, diabetes, coronary artery disease, strokes, obstructive sleep apnea….the list could go on; but the root cause of these conditions is the food we eat. I myself have spent a good deal of time on my own health and diet. I’ve never really been overweight, but I have searched for ways to be healthier. I went a year as a vegetarian (what I now call “The stupidest thing I’ve ever done“) after reading the book The China Study, but just did not see a benefit…I just felt tired all the time! I cook 95% of the meals in our home, and I have always tried to make them “healthy,” but it doesn’t make a difference long term. My weight is about the same, and I really don’t feel that much better. I hear you all saying the same thing I hear every day from my patients…”I can’t do that.” Well you know what, if I can, you can. Ask yourself this question, “If I could significantly change the way I feel and my longterm health by simply changing the way I eat, would it be worth it?” If the answer is no, shame on you! If the answer is yes, welcome aboard. If, like many you’re thinking, I’m not really sure? I ask you only one thing…can you change to the Paleo lifestyle (100%) for 30 simple days? I’m daring you to try it, and I promise you will not go back. If you have kids, what better gift than to show them the keys to achieving long term health and well being! Please, just try it…you’ll be happy you did. So What is the “Hiker” Thing All About? Lasty, as my kids have grown my wife and I have become very conscious about trying to get them off the Wii, iPad, computer etc and get them OUTSIDE! As a result we have started Geocaching under the name GarciaCachers and our find count is growing every day. We also enjoy getting outside as much as we can in the form of hiking, backpacking, canoeing, travel, and overall adventure. In addition, part of being a primary care provider is preparing for the future in every way you can. I transfer that to my every day life by making sure my family is prepared for any emergency or disaster that may come our way. Am I a “doomsday prepper”? Absolutely not! Are we practically prepared for an emergency? ABSOLUTELY! 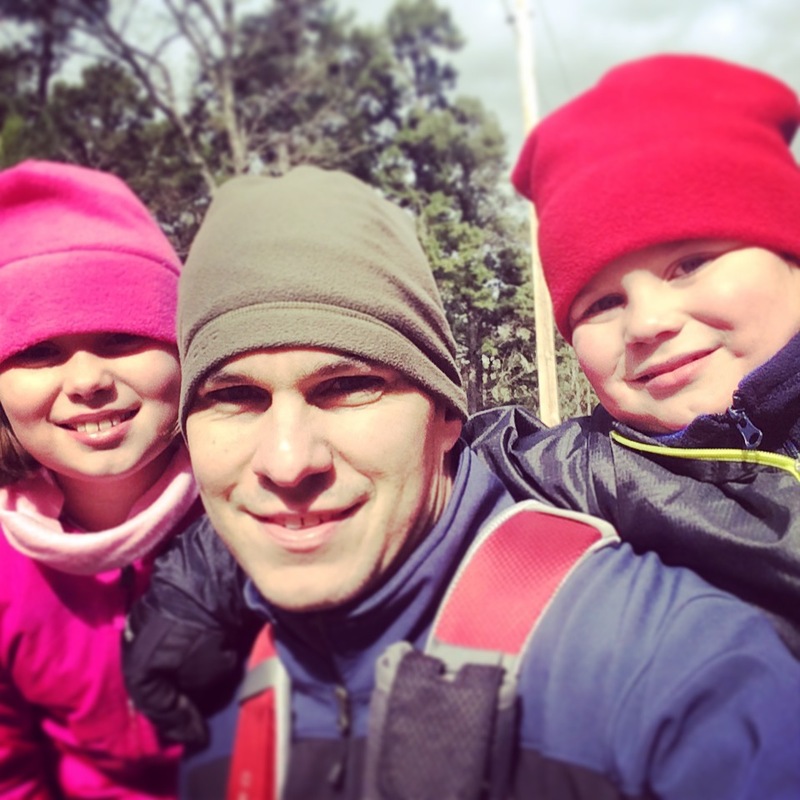 We homeschool our children, so travel and adventure for our family is all about education. My kids love YouTube, and they asked me to start a YouTube Channel so I did! The channel will be linked to this blog and posts will appear here as well. The videos will be far ranging…from hiking with kids, solo backpacking trips, geocaching adventures, paleo tips, cooking demonstrations, and even some practical prepping ideas to make sure your family is ready in case of disaster. It’s a work in progress, so make sure to subscribe and see what my family is up to next! Food and Outdoor Fun! What more could you ask for! So Why Write This Blog? Before you get too far into this, I have to warn you, this is not a blog after your heart necessarily. At least not from the stand point of giving you what you “want” to hear. There is no magic, nothing that’s quick and easy, or a step by step guide to losing weight. This is a blog about what I feel is the truth. Unfortunately, the truth is not probably what you want to hear! You want to get healthier? Lose Weight? Sleep Better? Minimize chronic disease? And not starve yourself in the process? Yes?? Then keep reading. But, to reach those goals, you have to realize that YOU HAVE TO AGREE TO CHANGE! I know you like what you eat, and your doctor said eggs will kill you, and your favorite celebrity says milk does a body good. Well, you, and they, are wrong. Take everything you “want” and package it up with what you think you “know,” and prepare to delete it. It’s time to learn the truth! Luckliy, along the way you get to learn about getting outdoors and enjoying this amazing earth that GOD created for us! Eat Clean, Get Outdoors, and Lets Have Some FUN! Hello, I would love to follow your blog, but it appears to only be available to follow on Twitter. Is there a way to follow you via email or Facebook? (I find when I log into Twitter, 3 hours of my day is gone reading everything out there and it is not as convenient for me as other ways.) Thanks! Thanks for the visit! I am working on a separate Facebook page for the site, and it should be up and running soon. One way you can follow it is with an RSS reader. On the top of the front page you see a little symbol with a dot and two semi circles. If you follow my RSS “Feed” you will get my updates. Most blogs have this, and you can follow many blogs quite easily without having to navigate to each individually. All you need is an RSS reader. But, the email idea is excellent, and I’ll work on setting something up! Thanks again! great blog – one of the best paleo blogs I have seen. question for you: i had high cholesterol and was on a statin medication. i started eating better and exercising more and my cholesterol got worse, so they wanted to put me on lipitor. my tennis coach recommended the paleo diet and i shed at least 15lbs in a month. now i’m pretty much just doing gluten free (although i’m not 100% gluten free) and i’ve managed to drop a few more pounds. do you think this is enough to get my cholesterol down? i’m eating a lot of protein and since all of this is counter to what i was taught, i’m scared to get it checked again. First of all, thanks for reading and for the kind words! Here’s the deal, you need to get it checked again! One thing I’m a big proponent on is not being in the dark when it comes to your health. Talk to your doctor and see if you can have what is called a VAP Cholesterol test done. This will give you and your doctor much more information about the size pattern of your cholesterol. This is most important if it is still high because if the size pattern is favorable, you may not need to lower it despite it’s elevated level. If you are not pleased with the repeat numbers, try going 100% strictly Paleo for 60 days and check it again. At that point you need to decide what is best for you. Just please, don’t ignore your numbers because you don’t want to know! Hope this helps, and never hesitate to send in more questions. I got my cholesterol checked. If I gave you the results, could you give me your thoughts? I was previously told to get on the meds, but I have tried to lower thru diet and exercise instead. I have been told that some doctors will prescribe cholesterol meds too soon and would like your opinion. Even if it is still high, I would prefer to find a way to get it in check other than meds – that is if I have a problem at all. Quite an over-simplification for such a complex problem. I would have caution finding any one “magic” cure for heart disease. Hi Dr Garcia, will you please adda section defining Paleo and providing links and citations, so that those of us who have never heard of it can educate ourselves? Thanks! A page here would be nice. i don’t do twitter or facebook. Look under the Links tab, Paleo Info. Should get you what you need! I read your Fresh Pressed post – or should I say devoured! Wow — and then reading your “about me” – I was blown away at the admission that you are well educated but didn’t get much training in nutrition. I have never met a doctor who’d admit to that! What you write here makes sense to me … as someone who has always battled low blood sugar, I had to snack regularly .. well the wrong snacks can pile on the lbs. WW didn’t work for me b/c they allow for points – and those points can be blown on anything. Atkins spiked my cholesterol..
What’s working for me is the Dukan plan .. I’ve lost 14 lbs and 20″ in 2 months by eating REAL food only. I’m the cook in my house, and like you, I want to know what I’m cooking for me and my family … no salt, not additives, no packaged junk. Just real foods – plants, lean proteins and some fruits. When we strip out the nonsense (the flavorings, the packaging) and step away from the man-made to the basics, I think that’s where we can reclaim our health. Such an encouraging blog — count me as a subscriber! What is this? Sous Vide Supreme Some kind of cooker? Thank you!! I already said this on your link on your FB page, but just read your bio and I am FLOORED. Wishing you could travel to all kinds of medical conventions and preach this to all the MDs.. Especially the ones in the large hospital system I work for (Kaiser). I can’t wait to read more from you! Dr. Garcia, I’m glad I found your blog. I’ve enjoyed reading your success with Paleo and the fact that you are a doctor and understand how Paleo fits into one’s overall health. I hope you spread the word through the medical community and would love getting any recommendations for “Paleo-friendly” doctors in the SW Houston area! I started Paleo a little over two months ago. Truthfully, I made a lot of dietary changes in February after turning 40 but I had no idea what Paleo was. I tried doing portion control and eating “healthy” during the week and allowing myself to cheat on weekends. I lost some weight that way. I began feeling better and decided to look further. I found marksdailyapple.com, subscribed, and bought Primal Blueprint. Every night after work I would read more and more about Paleo/Caveman/Primal. I quickly adopted the principles of this lifestyle -not diet- and the results are remarkable. I am down in weight from over 250 to 215 in less than two months. My blood pressure dropped from typically 140/90 to 120/75, with nearly zero increase in exercise (that is the next phase I need to focus on is Primal exercise but I’m having trouble wrapping my arms around it in the Houston summer!). I can’t believe how much better I feel, sleep, look, etc. It has been a remarkable change in a short time and I’ve inspired many other friends and neighbors with the help of blogs like yours. Thanks again and keep it up! Thank you for doing this blog. We need more doctors like you who are willing to question. You are a leader in your field. Looking forward to your next post. I am a school nurse and love your blog. I am in NJ with a high school of 2900 students. Obesity is rampant. I myself need to lose 30 lbs. I had lost 21 lbs last year with two W30’s under my belt. Eventually I go back to SAD and put it back on. I started another W30 yesterday. I love your graphs, pics, etc….I received a small grant to target this issue and started a club for girls at the HS entitled Positive You! It is multidimensional and includes nutrition, cooking, mind/body, hobbying, journaling, exercise, yoga, etc…..every week we do something different with a teacher who specializes in the area….It’s been successful and we are in our second year. I think this year I will incorporate Paleo/Whole 30 into the program and see what happens. whoops, forgot to add that I do a day on the importance of sleep on overall wellbeing and present several research articles on teens and sleep deprivation and it’s impact on their health. Another epidemic in our country is sleep deprivation. My husband is not completely sold on W30 but he comes along for the ride and feels better too! Pingback: Doctors Used to Smoke | It's Primal Y'all! I just found your website, and I’m excited to find a doctor who is advocating Paleo. I will follow you on Facebook and share interesting posts on my page, Journey to Healthy, where I give tips, resources, and encouragement to people getting started on Paleo/healthy eating. I think people who are hesitant to change are more apt to listen to a doctor on issues such as grains, cholesterol, etc. Thank you for your contribution! Hi Ernie this is your Mom and I love you very MUCHO! Great Blog My friend. I enjoy the videos as well.